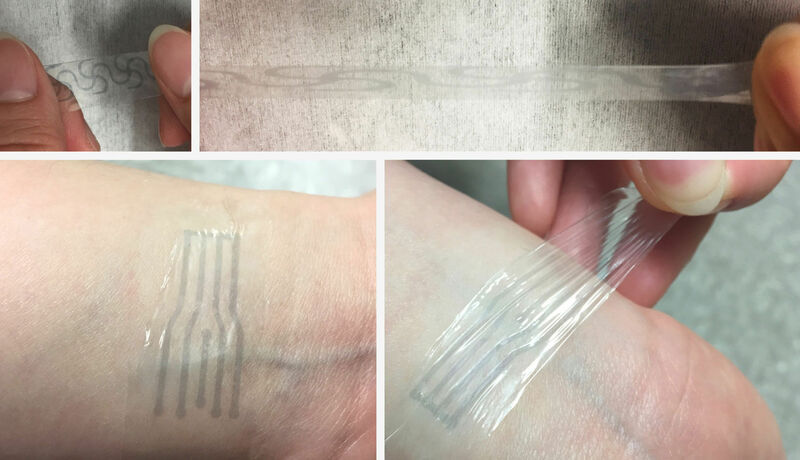 Researchers at Stanford University have developed a stretchable plastic electrode that could one day be used to bolster the flexibility of implantable electrodes in humans. Zhenan Bao, a professor in chemical engineering at Stanford University, has been working on the issue for more than a decade. Along with scientists at the SLAC National Accelerator Laboratory, they used a special type of X-ray to study a plastic material with high conductivity and biocompatibility at the molecular level. When the two polymers used to create the plastic were combined, they were indeed conductive and biocompatible but were very brittle and thus, not exactly ideal for use in a constantly contracting environment like the human body. In testing more than 20 molecular additives, Bao and her team eventually found one that helped separate the two tightly wound polymers and gave the plastic a lot more flexibility. That additive, as it turns out, is similar to the type of additives used in industrial kitchens to thicken soups. When applied to the plastic, it transformed its chunky and brittle molecular structure into one with a fishnet pattern that allowed the material to stretch and deform. As an added bonus, the additive made the material slightly more conductive when stretched to twice its original length and remained highly conductive even when stretched to 800 percent of its original length. The material is still in the prototype phase although Bao and team hope to develop it as part of their long-term goal of creating flexible materials that can work alongside the human body.